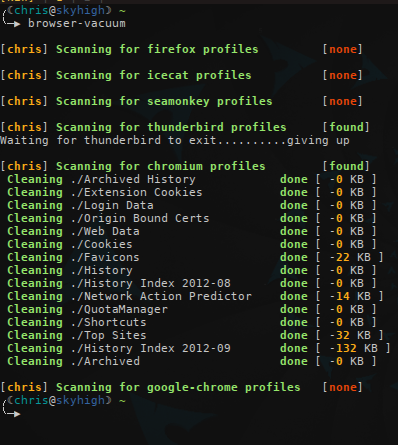 Defragment and clean database files from firefox and chromium based browsers. it was just a joke, but it actually happened where someone did copy this and managed to make it worse and gave it out. "ONLY IF: What you do with it improves upon the original." I'm pretty sure this falls under "custom". If you are the original author of this script (or otherwise own the original copyright), you can certainly re-license it under the WTFPL if you want. what do you suppose it should be? License is NOT WTFPL; see upstream source.